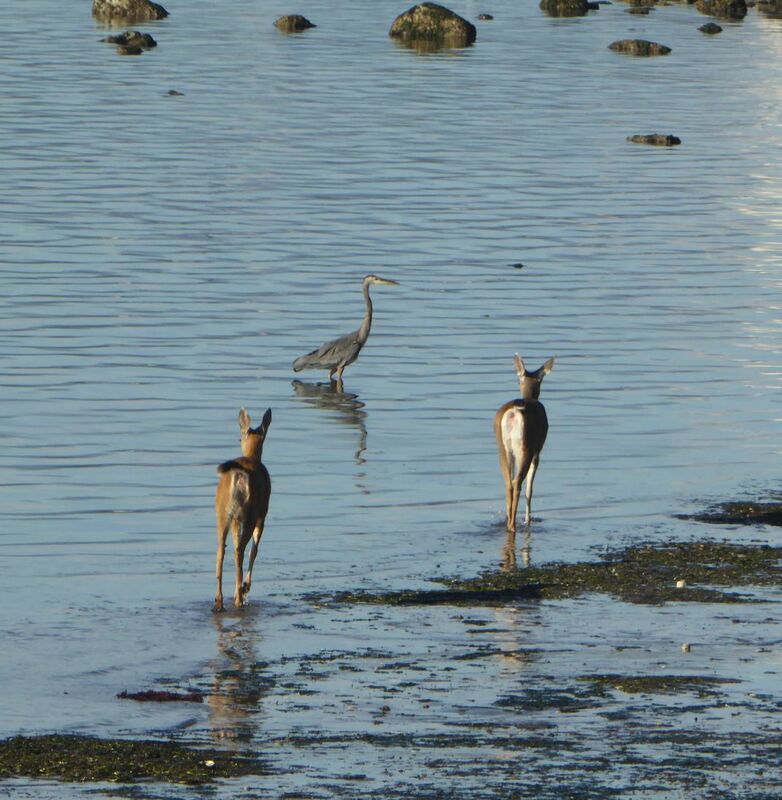 Two deer were walking at the edge of the water on a beach in downtown Port Townsend, WA. They turned to observe a Blue Heron, who took little notice and continued to watch for fish. The deer soon continued their walk along the beach. Date Uploaded: Sept. 14, 2016, 5:15 p.m.